The AIPCT is pleased to announce a seminar by Roberta Dreon, “Looking at Human Sensibility by Pragmatist Means: In Search of a Rounded Portrait,” free and open to the public. The date is April 1, 2019, at 7 PM at the AIPCT (411 N. 9th Street, Murphysboro, IL, 62966). Roberta Dreon is Associate Professor of Aesthetics at the Department of Philosophy and Cultural Heritage of Venice University, Ca’ Foscari since December 2014. Previously she was an open-ended researcher in the same disciplinary field. 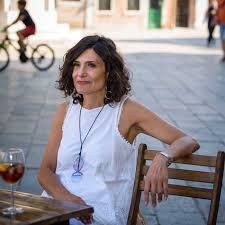 She is a member of the editorial and scientific boards of “Filosofia e Teologia” (Philosophy and Theology), “Ermeneutica letteraria” (Literary Hermeneutics), “Venezia Arti” (Arts in Venice) and she cooperates with the “European Journal of Pragmatism and American Philosophy”. Her interests include the connections between language and sensitivity in phenomenology (especially Merleau-Ponty) and in pragmatism (with reference to John Dewey). Her publications include a book, Feeling and Speech: Language and Sensitivity between Philosophies and Aesthetics of the Twentieth Century, which appeared from Mimesis in 2007, and a monograph focused on Dewey’s aesthetics in 2012, “Out of the Ivory Tower: The Inclusive Aesthetics of John Dewey, Today” (Marietti). Attendees are welcome to bring snacks and drinks as they please; light refreshments and drinks will also be provided. The seminar will last about an hour and a half, including discussion. There will be a reception afterwards. “In this talk, I will focus on sensibility as a structural dimension of human life. My primary interest is to consider sensibility as it unfolds ordinarily or “in the wild”, that is far from the typically epistemological glasses through which it has been traditionally considered. As a provisional definition, I will suggest that sensibility basically means for a living organism to be selectively exposed to an environment, namely both to dangers and to opportunities to grow, move, improve itself. In the case of the human being, we must consider that the human environment is not simply natural but also naturally cultural, namely, it is also made of shared practices that are laden with deep-seated meanings, behavioral and linguistic habits, rules, etc. This means that human sensibility cannot be conceived as simply connected to allegedly mere biological needs. Differently, our biological propensities to feel the environment around us are always already modified and reconfigured by our cultural practices.